A California panel has recommended parole for former Charles Manson follower Leslie Van Houten more than four decades after she went to prison for the killings of a wealthy grocer and his wife. A panel of the California Board of Parole Hearings made the decision Thursday after Leslie Van Houten’s 20th parole hearing. The decision will now undergo administrative review by the board. If upheld it goes to Gov. Jerry Brown, who has final say on whether the now-66-year-old Van Houten is released. Van Houten was the youngest Manson follower to take part in one of the nation’s most notorious killings after descending into a life of drugs and joining Manson’s cult. While in prison she has completed college degrees and been commended for her behavior as a model prisoner. Former Charles Manson follower Leslie Van Houten has described in graphic detail how she and other Manson family members went to the Los Angeles home of victims Leno and Rosemary La Bianca in 1969. 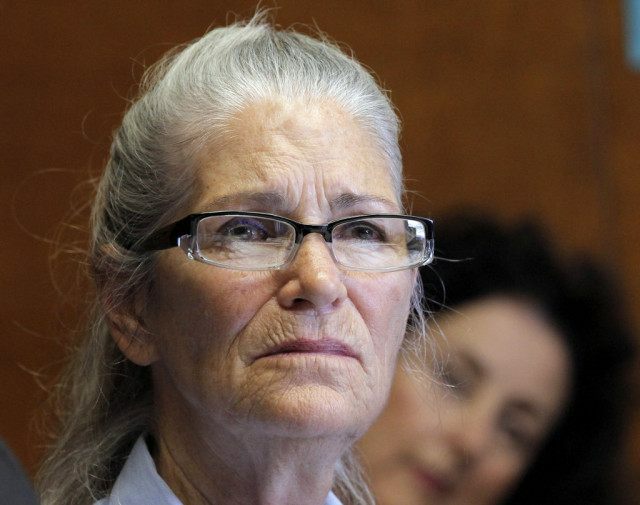 Van Houten spoke Thursday to a California parole board in her latest bid for release after more than four decades in prison for participating in one of the nation’s most notorious killings. The one-time homecoming princess, described how she helped secure a pillow over Rosemary La Bianca’s head with a lamp cord and hold her down while someone else started stabbing the woman. Van Houten says she looked off into the distance and then another Manson follower told her to do something, and she joined in the stabbing. The La Biancas were slain the night after other members of the so-called Manson family murdered actress Sharon Tate and four others. Van Houten, who did not participate in those killings, has been turned down for parole 20 times previously. Her latest hearing was continuing. The youngest of Charles Manson’s followers to take part in one of the nation’s most notorious killings is trying again for parole. Homecoming princess-turned-Manson-follower Leslie Van Houten is scheduled for her 21st hearing before a parole board panel on Thursday at a women’s prison in Chino, California. The now-66-year-old Van Houten was convicted in the 1969 murders of wealthy grocer Leno La Bianca and his wife Rosemary in their Los Angeles home. The couple was stabbed to death a day after other so-called “Manson family” members killed pregnant actress Sharon Tate and four others. While in prison Van Houten has completed college degrees and been commended for her model behavior. Her lawyer, Rich Pfeiffer, says she presents no danger to the public but has remained jailed because of her former ties to the cult leader.